July was a pretty big breakthrough month for me in terms of running. I didn’t get as many total miles as I’d hoped for last month – or even as many long runs as I wanted – but my speed work definitely improved a lot. I’m attributing a lot of this improvement to my weight loss, as well. If you remember, I mentioned I started weight watchers 14 weeks ago. I’m super proud to say that I’ve lost 19.8 lbs to date, and I have about 12 until I reach my goal weight. My body feels better when I run now, and I love it! I made a goal last month to do nothing less than 3 miles, and I’m super proud to say I stuck to that goal. I’ve noticed, however, that my hip has been really killing me lately, so I’m trying to balance rest days with run days and a lot of stretching. I think that this pain has also contributed to my hesitance to do longer runs. Well, that and the fact that it got super hot last month. This was my fastest run for the month. I honestly went out for a light jog – I didn’t want to run that day. 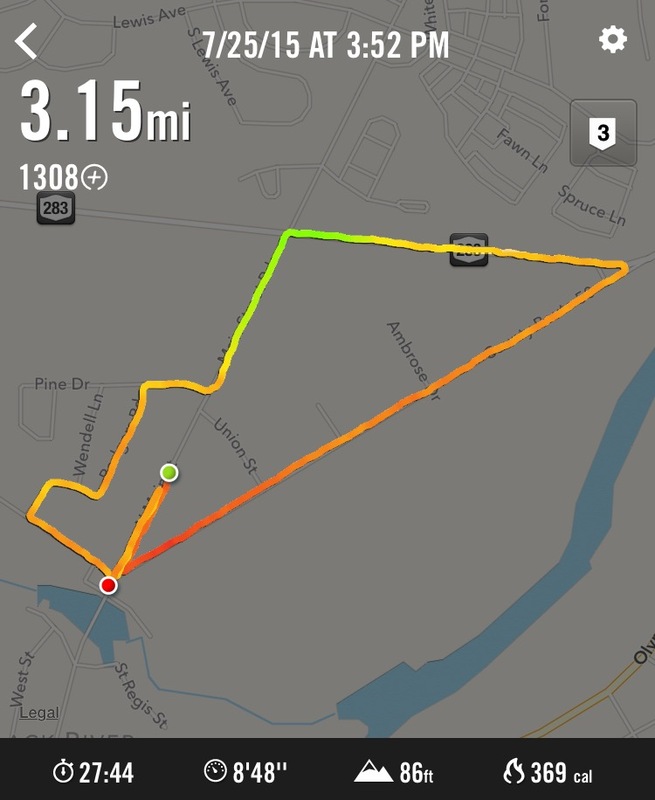 I ended up feeling really strong, so I just pushed it, and I went my fastest 5k time yet. It’s incredible to see what your body can do when you give it the appropriate tools. I think this was a big breakthrough month for me, but I’m looking forward to logging more miles in August than before. I have an other half marathon in October, so the longer runs are necessary. Here’s hoping my hip decides to cooperate!